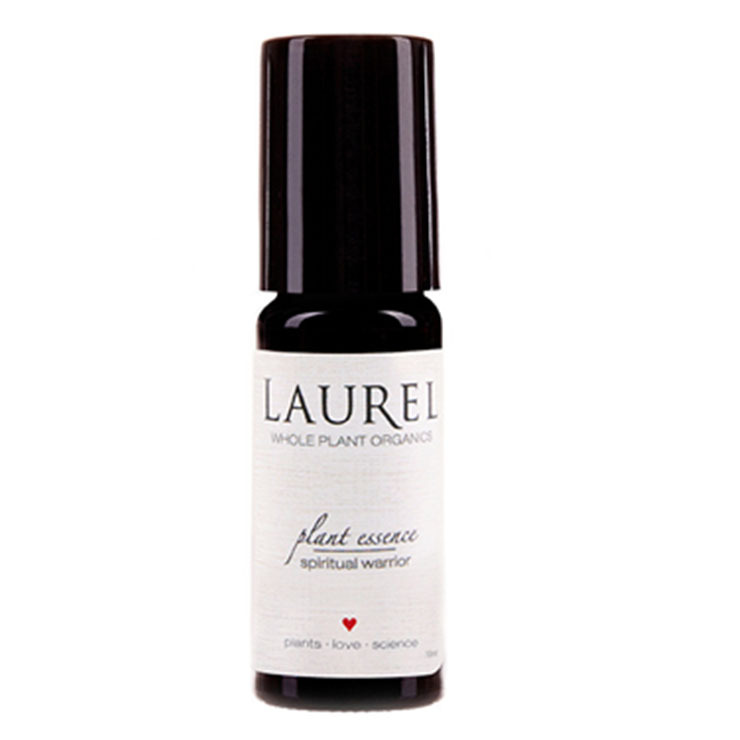 Spiritual Warrior by Laurel Whole Plant Organics is a subtle perfume bursting with plant and gemstone essences. A combination of palo santo, sandalwood, plumeria, myrrh, marjoram and black pepper provides a sense of guidance and focus throughout the day. While gem stone essences of celestine, tourmaline and amethyst support feelings of an open heart, wisdom, and intuitive guidance. Roll this luxurious scented oil over pulse points, onto your heart center, and neck to gently scent the skin. Reapply as often as desired. Keep in your purse or on your desk as a daily companion and frequent application.